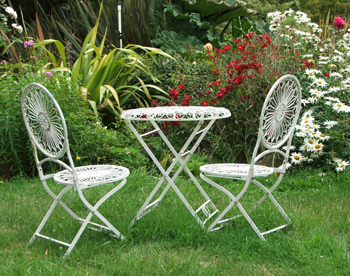 40% off All Garden Furniture! The sale sign outside a local Garden Centre had been catching my eye for a few weeks. Then came that fateful day when I had nothing better to do. I wasn't looking for anything remotely in the nature of furniture. 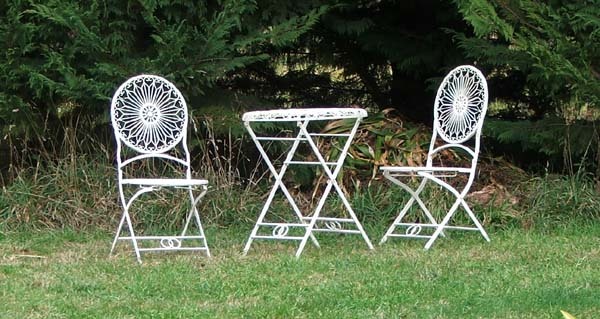 Garden Furniture - a Great Birthday Present! 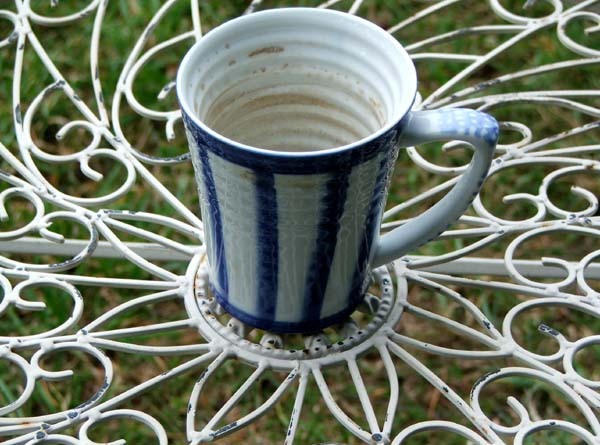 It was winter, and I was doing the rounds of the Garden Centres with attached gourmet cafes - searching for a little afternoon excitement (and nourishment) apres gardening. But of course - that was the answer! Dear Non-Gardening Partner, always being asked to build this and that, never knowing what the next request would be, desperately hoping that I would move through my garden shed phase and safely out the other side. It was time for him to be treated and thanked for all his gardening support. The cafe table and chairs would be his birthday present. Yet another oops. How would I get away with this? NGP is a rugged, hard working sort of chap, more likely to be found leaning on a fence-post than sitting on antique white cafe furniture. He doesn't even drink cups of tea or coffee! 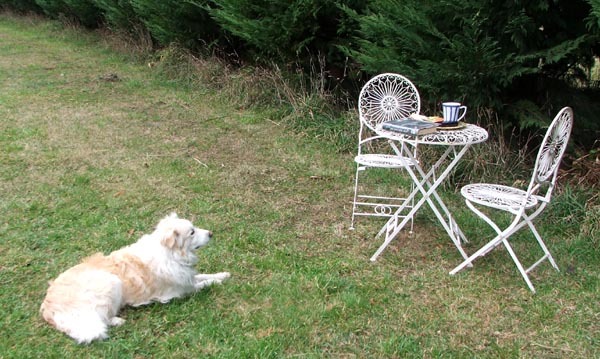 Often in country gardens white wrought iron tables and chairs are set down in the middle of a nowhere, abandoned in some scruffy paddock, seemingly without thought. And they manage to look superbly stylish. 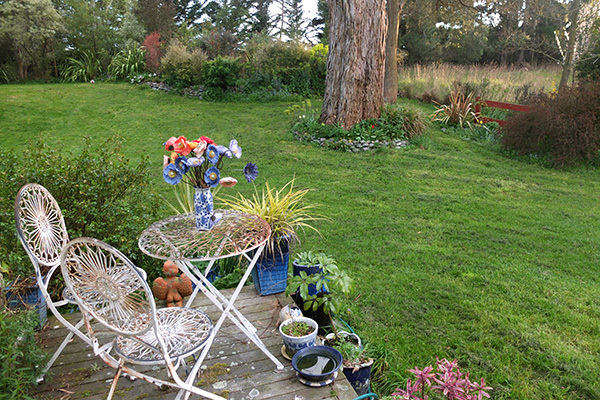 But alas, my cafe garden furniture just looked silly out in the open. And there was a definite lack of use. I brought my lunch out only once. The white paint rubbed off all over my gardening bottom. The 180 degree views of open spaces and beautiful borders waited in vain to be admired. Now it's on the house decking. And - oops - I still don't sit on it much. I suspect it wasn't the perfect birthday present for Non-Gardening Partner. I could never get him to sit on it. Too small, and too wobbly, he reckoned, and I reckon he was right. Maybe he would like a kitset garden shed for Christmas?